Keeping up with our innovative creative solutions. 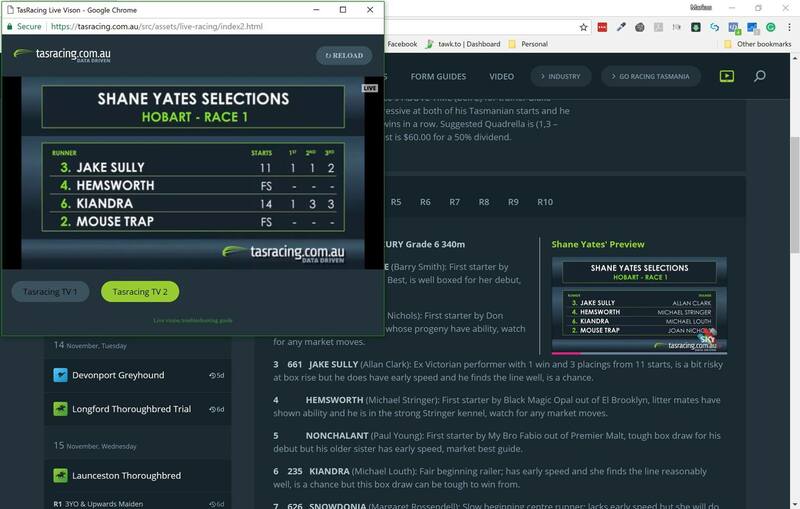 We were approached by Tasmanian Race caller Shane Yates to provide a solution for displaying individual race video clips for his top four selections and statistics. The videos are then displayed for viewing on the Tasracing website form and live feeds before each race. Head over now to www.tasracing.com.au and go to the Hobart Greyhounds to view Shane’s top tips and then view the live feeds to see them again and watch the race. For the punters out there, you are bound to get some great tips. Not only did Zade Enterprises provide the video templates and produce the videos, but also developed a stand-alone stats building system.